With the United States 2016 Presidential Election race well underway, the candidates have worked tirelessly on the campaign trail in an effort to convey their stances on a wide range of hot-button issues. With 15 candidates currently vying for the presidency, Republican Carly Fiorina, former Chairman and CEO of Hewlett-Packard, has emerged as a leading contender, partly due to her position on a variety of issues, specifically addiction care. Fiorina’s personal crusade towards raising awareness about substance abuse and addiction care began in 2009, following the untimely death of her stepdaughter, Lori Ann Fiorina. Carly Fiorina met Lori Ann when she was only six years old and about to marry her father, Frank Fiorina. Quickly forming a close bond, for the next 29 years of Lori Ann’s life, Carly was inspired by her compassion, liveliness, hard work ethic and potential. During a long war with substance abuse, Lori Ann had entered into rehabilitation programs three times. However, in October of 2009, she was found unresponsive in her New Jersey home and then pronounced deceased. 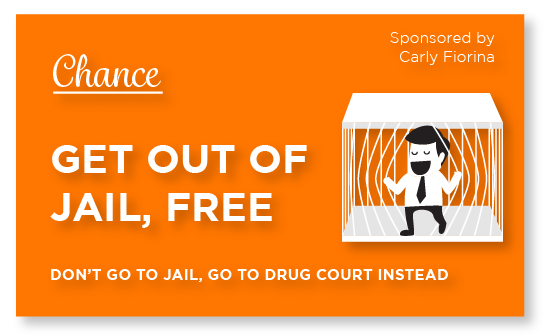 To counteract the rampant substance abuse problem, Carly Fiorina has suggested reforming the criminal justice system. This means not putting those arrested for non-violent drug offenses in jail and adding to the overpopulation of prisons across the county, but enrolling them in addiction care rehabilitation programs. Time Magazine states that drug offenders who complete substance abuse treatment are 25 percent less likely to be re-arrested within two years of finishing the program. Under President Barack Obama, some states have already begun to implement new, similar legislation. Every day 44 people in the United States die from overdosing on prescription drugs. Although extremely sad and disturbing, Lori Ann and the Fiorina family’s battle with addiction is an all too common occurrence across the globe and specifically in the United States. The drug epidemic has spread to all corners of the world, affecting people of every age, nationality and financial means. Prescription opioids have come to the forefront as one of the most abused substances in the country and the world, causing addiction care to be an important issue in the upcoming election. The U.S. Centers for Disease Control and Prevention (CDC) states that every day, 44 people in the United States die from overdosing on prescription drugs. With the number of overdose deaths continually on the rise, researchers and physicians have concluded that these opioid-related occurrences are lending themselves to an equally serious problem: heroin. Opioids are pain-relieving drugs that are highly addictive. Some examples of brand name opioids include OxyContin and Vicodin. There is a variety of reasons why one may become addicted to opioids, genetics and family history can play a particularly large role in this. Another reason why prescription painkiller addictions have become so prevalent is due to the fact that these substances are legal. Many times, physicians will prescribe these to a patient in order to mitigate pain. However, after taking them; many individuals become dependent and then addicted. With high street prices for these pills, many addicts turn to the more harsh, illegal and cheaper fellow opioid: heroin. The 2016 Presidential Election and Carly Fiorina have aided in highlighting the substance abuse epidemic and the strides needed to be made in addiction care in the United States. President Obama has made many of these strides, for example with the Patient Protection and Affordable Care Act (PPACA), in improving addiction care and extending treatment availability to everyone. It is imperative for the next president to continue increasing coverage and treatment for addicts. Seaside Palm Beach is an all-inclusive, premier rehabilitation facility. For over two decades, our comprehensive holistic approach to treatment has led to industry high success rates. 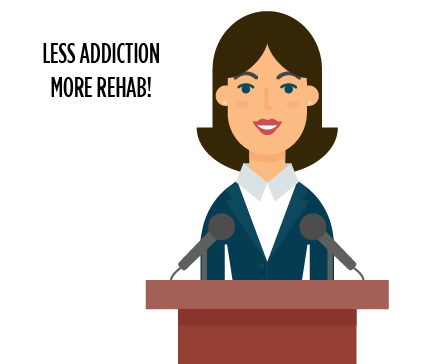 By only utilizing proven and evidence-based practices, we empower our patients to leave rehabilitation with the proper skills to remain sober. Through onsite medical detox and specialized therapies such as mental health treatments, group counseling and activity-based and animal-based programs, patients have a wide range of programs to aid them on the road to recovery. Our certified and caring staff promotes a safe environment for addicts to recover. Seaside Palm Beach’s team of doctors and nurses create a customized care plan specific for each individual in order to meet their needs and help them defeat their addiction. For more information on Seaside Palm Beach please call, (888) 997-3274.